How beautiful, when a whole tree is like one great scarlet fruit full of ripe juices, every leaf, from lowest limb to topmost spire, all aglow, especially if you look toward the sun! What more remarkable object can there be in the landscape? It is one of life’s great pleasures to walk through the streets, parks, and forests of New England on a cool, sunny autumn afternoon with crispy leaves crunching underfoot and brilliant trees and shrubs coloring the landscape. Happily, 2018 is an almost perfect year for autumn color, with just the right mix of moisture and gradually cooling temperatures. As a result, the yellows, oranges of Norway maples and the oranges and reds of sugar maples are particular striking. 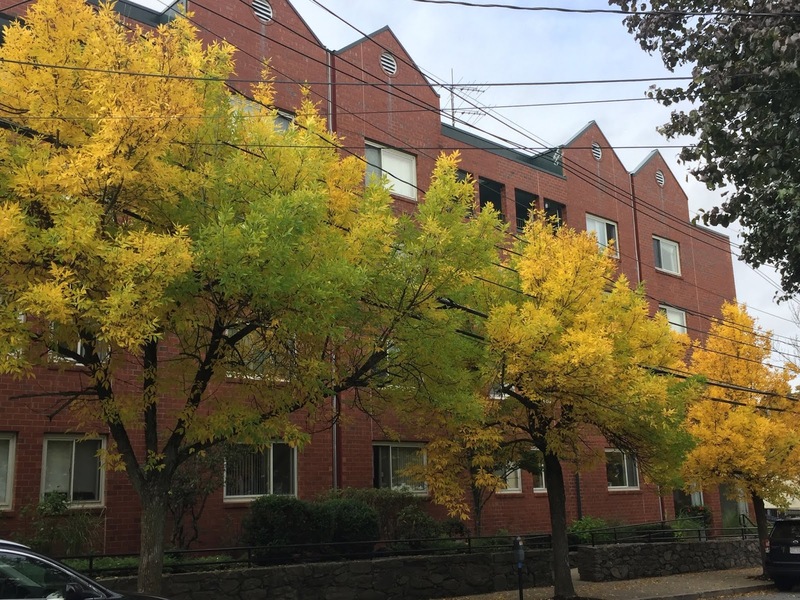 Honey locust trees create bands of lemon yellow along streets. Honey locust trees with yellow leaves. 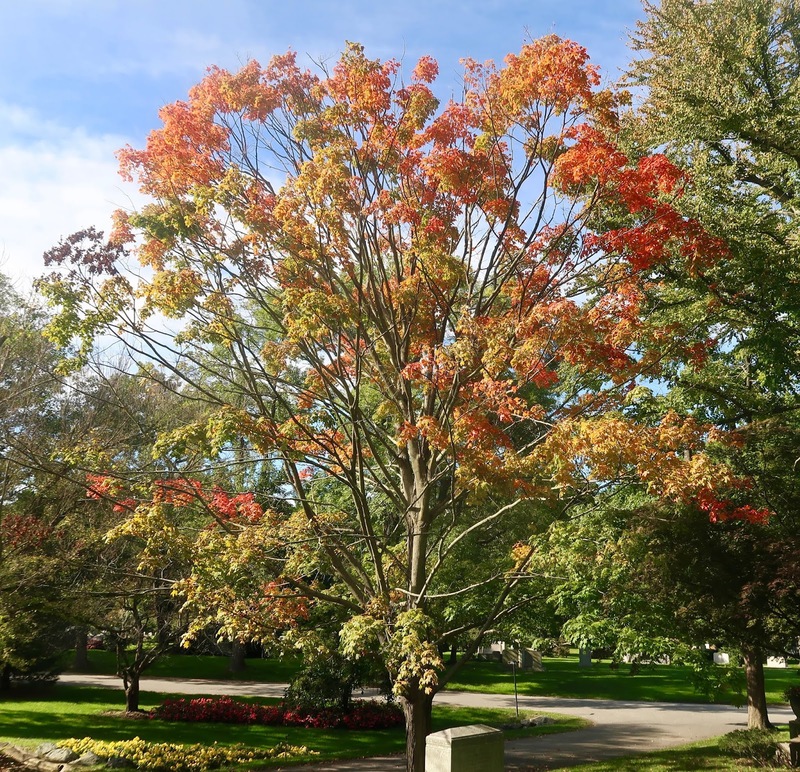 As I describe in a recent article in the Newton Tab and in an interview on “The World” on Public Radio International, both a warming climate and later first frosts over the past four decades have delayed the timing of peak fall foliage. The peak used to be from late September to the first week or two of October, but now it is typically mid to late-October. However, the variety of plants growing in our woods and gardens gives us a long season of color from late September to early November as plants take turns changing. So go and find your favorite spot to enjoy the wonderous displays of fall foliage.